The light switch has a Headlight and a Parklight position. To turn the lights on, twist the knob on the end of the control lever. When the light switch is in the parklight position, the tail, parking, license and instrument panel lights are ON. 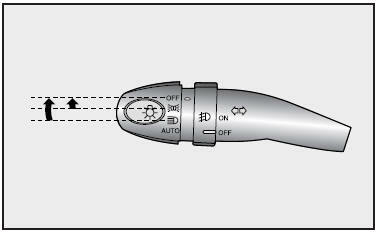 When the light switch is in the headlight position, the head, tail, parking, license and instrument panel lights are ON.